Real Estate Agents have been told time and time again putting photos of themselves on their marketing material will increase business. We discovered with the right photo an agent can win business and with the wrong photo an agent can lose business to their competitors. Remember the phrase “perception is everything” Well the phrase definitely is true when it comes to home owners picking real estate agents on the basis of their visual image. Daily Properties surveyed 50 people between the ages of 25 to 65 who are in the market to buy or sell a home in the next five years in the United States and Canada. The survey focus was to understand which real estate agent portrait photos used in their marketing material homeowners and future homeowners would gravitate to when choosing an agent to represent them as well as to see which agents portrait photos they overlooked and why. 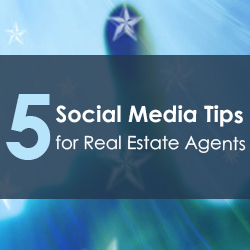 100% of our survey respondents felt more comfortable with agents who had professional photos. This makes complete sense because why would someone trust an agent with their biggest asset to sell if an agent can’t invest in their own marketing. Amateur photographs and agent photos gave a perception of lack of marketing funds, disorganization, that the agent will make mistakes in the sales process possibly resulting in litigation. Agent’s dentists are going to praise us for this finding. 97% of the people we surveyed gravitated to agents who showed teeth while smiling in their photos. Avoid the Miami Vice 80’s Color Backdrop Cloths. Walk away from the portrait photographer who uses outdated backdrops, which were popular in the 80s. The pink, teal, purple, blue brown, grey colored blotchy backdrop cloths were great for your 80’s elementary or prom photos but not appealing in the 21st century. Out of 50 people surveyed not one chose an agent who used such backdrops. Even if you don’t think your photos are outdated, the public might think differently. Agents should update their photos at least every 2 years. Our survivors felt uncomfortable with any agent photos they could see were out of date. Some of the survivors felt an out of date photo made them feel the agent might not be current on the trends, rules and regulations to market and sell their property effectively and didn’t feel comfortable trusting their biggest asset (sale or purchase) with such folks. A year ago a lead editor at Daily Properties came across an agent’s business card where the agent was dressed as a clown with the phrase “I don’t clown around” as their motto. They might have a memorable card but in our survey it was felt the agent wasn’t serious enough to do a good job. 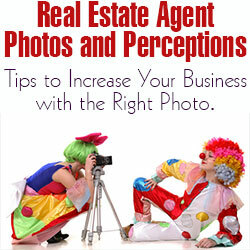 This being said, clowning around photos are not going to increase an agent’s business. Avoid pointing at the camera, wearing silly hats or posing with your hands in the air like you are the next messiah or holding your pet in your lap.